If you do a little searching on the internet, you’ll see that some editors charge by the word or page, others by the hour. Although at-a-glance fees are helpful (e.g. you have an 80,000-word book, randomeditor.com charges NZ$20 per 1,000 words for a copy edit, therefore your edit will cost NZ$1,600), this just doesn’t work for me. Bear with me and I’ll explain why. A well-written book by an experienced author may need only a light copy edit, especially if it has already been through the assessment process. In such a case my work could be done and dusted in 15–20 hours. But a book riddled with spelling and grammatical errors, inconsistencies, wrongly punctuated dialogue, a couple of enormous plot holes and a wildly swinging point of view, may take twice as long. This is why I ask authors for a sample 1,000 words to edit. I then return the edited sample to the author (the sample edit is free), with a no-obligation quote based on the time it took. The author can then also take a look at my editing and make sure they are happy with what I’ve done. •$37/hour (cUS$25 or £19.50) for proofreading (note that proofreading is a far quicker process than editing). Note: highly illustrated non-fiction books generally take longer than novels, as there are additional matters like image research, illustration briefs, permissions (copyright) and fact-checking to consider. At the same time as quoting for a job, I also put a cap on the fee so that authors aren’t faced with a budget blowout. I also edit blurb and marketing copy at no extra charge, though if an author wants me to write this for them from scratch, I charge this at my hourly rate. How much will an edit cost me? You’re expecting me to say ‘yes!’ right? Well the answer is ‘not necessarily’. It all depends on why you are writing, and your expectations for your book. Most independently published books will sell only a small number of copies – sad but true. 1.Join a critique group. I’m in one of these, and can highly recommend hanging out with other authors. Ask around and try to join one that has a good mix of experienced authors and newbies. Don’t worry that they will demolish your work, authors are generally kind and encouraging. 2.Find beta readers (people who will read an early draft of your work). I can’t emphasise enough how useful this is. Try to find people who aren’t your partner/child/best friend and who will give you an honest opinion – and if possible they should be readers who enjoy your genre. Asking a sci-fi fan to give you feedback on your romance novel probably won’t be helpful. 3.Get a manuscript assessment - see ‘Should I get a manuscript assessment?’ below. What level of editing do I need – development or copy? 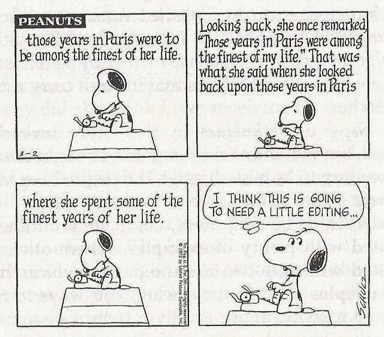 If you’re a first-time author you are probably unsure what level of editing is necessary for your book. If you haven’t had an assessment or used a critique group, your editor should be able to advise on this. There’s a bit of a grey area – often I will be asked for a copy edit but I will make recommendations along the way that are more developmental. Occasionally I will start a copy edit but decide more development is needed, and will discuss this with the author before continuing. I am always happy to take a look at a plot synopsis and sample chapter to get a feel of whether a book is ready for editing. Can an editor turn a badly written book into a good book? For non-fiction, in some cases yes. If the information is useful and valid and interesting, but badly written and presented, I can turn that into a decent book (I have done this many times for school textbooks written by wonderful, enthusiastic teachers who are, ahem, not the greatest writers). For fiction or biographies – unlikely. Turning a badly written book into a decent book would necessitate a rewrite, and that should not be the editor’s job – that’s the job of a ghostwriter. If there’s anything I haven’t covered here, feel free to drop me a line at sue.copsey@xtra.co.nz. Should I self-publish … am I ready to self-publish? 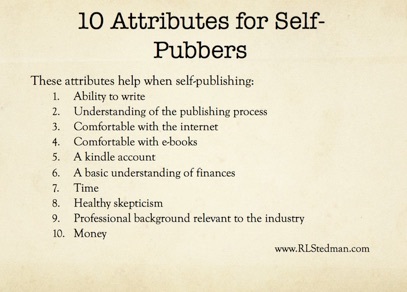 To help you answer this question, here is a list of 10 attributes that will be helpful if you are going to self-publish. This list was drawn up by award-winning NZ children’s/YA writer R.L. Stedman. You can read the excellent article that goes with it here – well worth digesting before you jump in. What happens during the editing process? Different editors work in different ways. Many return your edited manuscript and that’s it. Others include two rounds of editing. ‘Publishing services’ (PLEASE be very careful if you decide to use one of these, there are some terrible sharks out there) often include everything from editing through proofreading, formatting, design, cover design, marketing etc. to finish, and prefer to work this way with indie authors too. It just feels wrong to let go of a book after the first edit – believe it or not there is still a way to go after this. I ask authors to return their manuscript to me once they have been through the edit and made any revisions in response to my comments, so that I can edit and check these and make sure no typos have crept in. I can also do a final proofread after page layout, although this is an additional cost to the edit (see proofreading rates above). Should I get a manuscript assessment? How can I organise that? If you have the budget for both assessment and editing, it’s always worth sending your manuscript to an assessor. He or she will give you a full report on the strengths and weaknesses of your book and your writing, and this will help you get your manuscript into the best possible shape before editing begins. If you’re thinking of submitting to publishers and/or agents, an assessment is particularly worthwhile. If you are in New Zealand, you can join the New Zealand Society of Authors and apply for one of their assessment programmes, or here’s a list of assessors at The New Zealand Society of Manuscript Assessors.